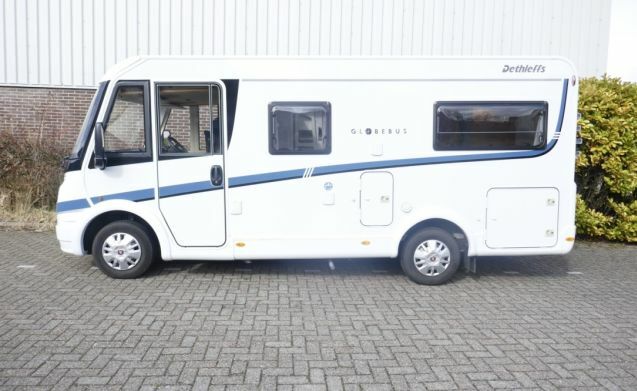 Nice compact camper with 2-person fixed bed and 2-person pull-out bed. 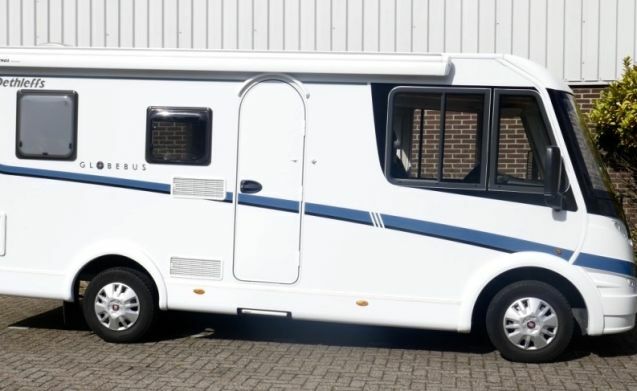 Nice compact Dethleffs camper with 2-person fixed bed in the rear and a 2-person pull-down bed in the front. 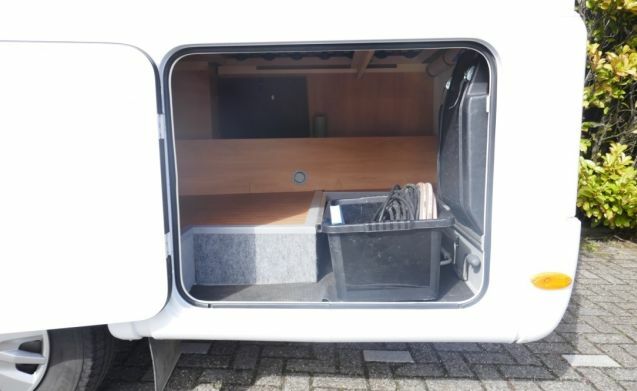 The camper is equipped with motor air conditioning, cruise control, and a bicycle rack for 4 bicycles. 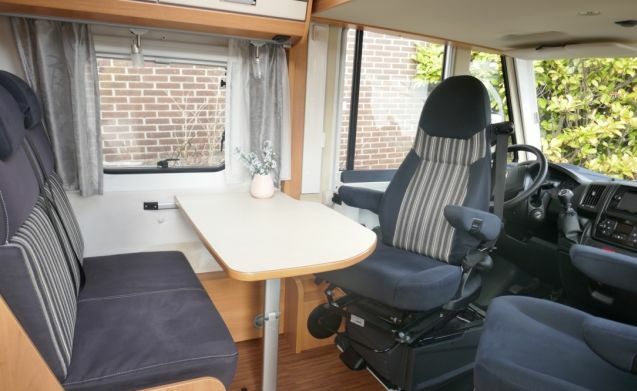 The 2 swivel pilot seats allow you to create a cozy seating area to eat or play a game of fun. 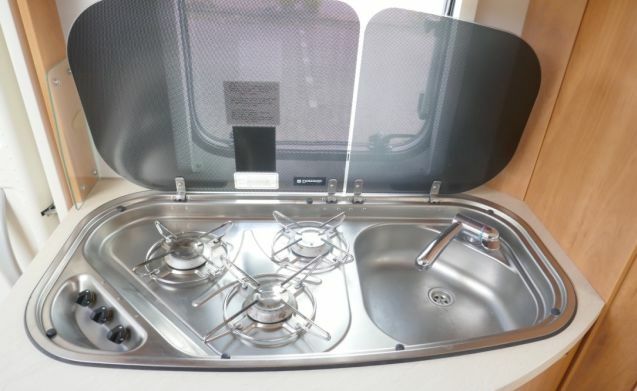 The kitchen is equipped with a 3-burner gas stove, 2 sinks with mixer tap, and a fridge with freezer. 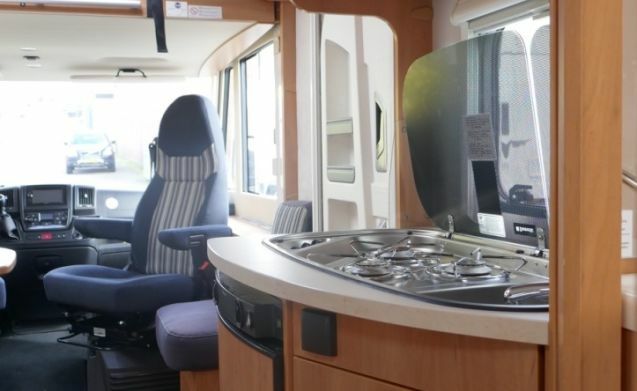 The bathroom has a separate shower area and also a toilet and fountain with mixer tap. 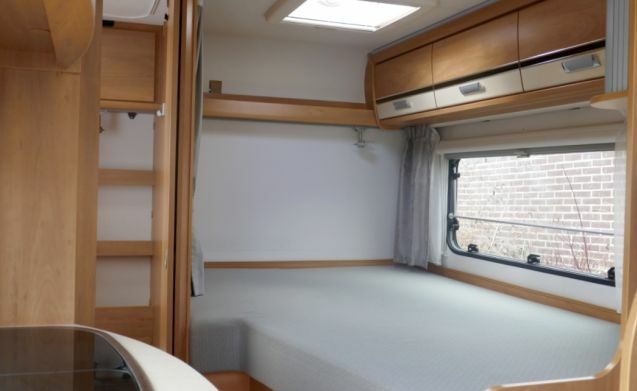 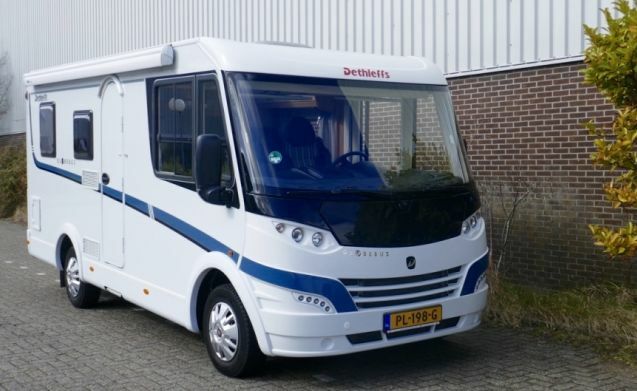 In addition, the camper has storage space including a wardrobe, a clean and waste water tank, water heater with ring heating, top hung windows with combi roller screen curtains, hanging cupboard, electric step, awning, bicycle rack, and spacious garage.